Craig Hudson is the Chief Financial Officer (CFO) of Lift. A Chartered Professional Accountant (CPA) and Chartered Financial Analyst (CFA), Craig joined Lift in August 2017. He brings nearly 20 years of finance and operations experience, most recently as Vice President of Digital Operations at Indigo (TSX: IDG), Canada’s largest book, gift, and specialty retailer. At Indigo, Craig led multiple initiatives to increase efficiencies, support growth, and drive profitability, including as Head of Indigo’s Business Intelligence teams. 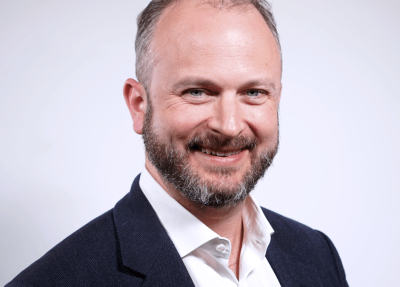 Previously, Craig worked for 10 years with global accounting firm KPMG, leading audits in Vancouver and London (UK), and managing over 40 financial due diligence engagements for a range of clients and industries. Craig has a Bachelor of Commerce degree from the University of British Columbia. Josh Kerbel is the Chief Technical Officer (CTO) of Lift. Josh brings over 15 years of entrepreneurial experience in technology and product management. Josh has worked across a range of sectors and technology domains with previous roles at Extreme Innovations, r/ally, Waygoz, and other companies with a focus on machine learning, mobile applications, and IoT. Josh has managed multiple multinational teams, raised capital for early-stage start-ups, and implemented numerous ROI-driven development processes. Josh has an MBA from the Schulich School of Business at York University, and a Bachelor of Arts from the University of Western Ontario. Josh was recently a Mentor at The Entrepreneurship Hatchery at the University of Toronto’s Faculty of Applied Science and Technology. Stuart Miller is Chair of the Board of Directors of Lift & Co., and is also the Chair of the Corporate Governance Committee. Stuart is the Senior Vice President and General Counsel of SkyPower Global, one of the world’s largest developers of utility-scale solar photovoltaic energy projects. He is also the Honorary Consul for the Republic of Seychelles in Toronto, Ontario and is a member of the Governance Committee of the Board of Governors of North York General Hospital. Stuart was previously the Executive Vice President, General Counsel and Corporate Secretary of Capstone Infrastructure Corporation, the Managing Director and General Counsel for the Macquarie Group’s North American private equity and infrastructure funds management division, and the Executive Director (Legal Department) and Corporate Secretary for Fairmont Hotels and Resorts. He began his career with McCarthy Tetrault LLP. Mr. Miller earned his combined Master of Business Administration/Juris Doctor degree from Osgoode Hall Law School and the Schulich School of Business. Deborah Rosati is on the Board of Directors of Lift & Co. Deborah is an accomplished Corporate Director, entrepreneur, Fellow Chartered Professional Accountant (FCPA) and certified Corporate Director (ICD.D) with more than 30 years of experience in technology, consumer, retail, private equity and venture capital. As an experienced Audit Committee and Nominating & Corporate Governance Committee chair, Deborah provides extensive knowledge as a Corporate Director in the areas of financial and enterprise risk management, corporate strategy, transformational changes, M&A, corporate governance and CEO and board succession planning. Deborah is the Founder & CEO of Women Get On Board, a leading member-based company that connects, promotes and empowers women to corporate boards. She was selected as a Diversity 50 2014 candidate, and also recognized in 2012 as one of WXN’s Top 100 Canada’s Most Powerful Women in the corporate director award category. 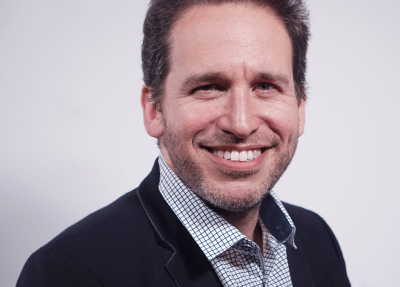 Daniel Finkelstein is on the Board of Directors of Lift & Co. Daniel is the Principal and Chief Product Officer at Gotham Green Partners (“GGP”), a New York-based private equity firm focused on deploying capital into cannabis and cannabis-related enterprises. Prior to launching GGP, Daniel was the Founder and CEO of Timber Ridge Capital, Founder and CEO of Henry Scott Ventures, and a Consultant for Finkelstein Timberger East Real Estate. 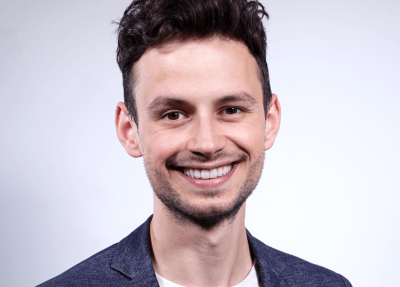 An early investor in the cannabis space, Daniel has a Bachelor of Science in Management from the A.B. Freeman School of Business as Tulane University. Mariana Fonar is the Legal Counsel and Corporate Secretary of Lift & Co. Prior to joining Lift & Co., Mariana worked as Senior Legal Counsel at SkyPower Global, one of the world’s largest solar-energy companies, where she was involved in international M&A deals and provided legal expertise to manage corporate, commercial, employment and governance matters. Mariana was also an Associate at Dale & Lessmann LLP in the Corporate/Commercial and Employment Law Groups, and has previously worked at the Bank of Montreal and in Product Planning at Mercedes-Benz Canada. Mariana is currently the President of Young Women in Law, a not-for-profit corporation aimed at encouraging and promoting the welfare, interests and retention of young female lawyers. Mariana was called to the Ontario Bar after obtaining her Juris Doctor from the University of Western Ontario. She has an MBA from the Richard Ivey School of Business and an Honours Bachelor of Administrative Studies (Marketing) at York University. Cannabis legalization has created a new market with regulatory inefficiencies between consumers, producers and retailers. Lift & Co. is a platform solution that fills the information gaps between consumers, producers and retailers. Lift & Co.’s platform connects industry stakeholders, aggregates those connections, and monetizes those channels and the data they generate. Connect: Lift & Co. provides unique marketing opportunities for a restricted industry. Aggregate: proprietary & valuable information for consumers, producers and retailers. Monetize: Valuable Connections & Data. Lift & Co. has driven strong annual growth (+128% year-over-year) through rigorous optimization and execution of their strategy. Lift & Co. is poised to convert its leadership position into the recreational market, continuing to leverage the platform to connect, aggregate, and monetize the domestic market. All three platform streams – Lift.co & Rewards, Events, and Retail – will benefit from the anticipated 20x increase in legal cannabis consumers beginning October 17th, 2018.